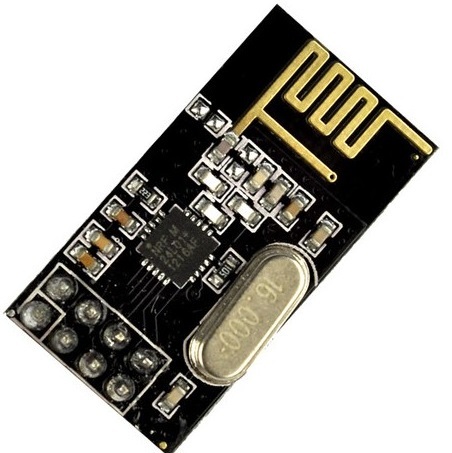 NRF24L01 is low cost transmitter that can be used in arduino through SPI interface, the price of this device is only $0.95 in Indonesia , this device uses 3.3V power supply which can be obtained from 3.3V pin on arduino. If you Bought this device, maybe you will get the experience that this device not works, although your program seemed correct. This problem is make me confused, because i bought six pcs NRF24L01 and none of them are work. Then i found the solution from the forum ( Sorry i forgot the link) that says that we must add 10uF capacitor on Vcc and Ground.. this is caused by the noise of Power supply when transmitting prosess. After i put the capacitor.. NRF24L01 is works perfectly..